Are you a label reader? Do you look for words like ‘gentle,’ ‘nourishing,’ ‘chemical-free,’ and so on before you purchase a product? Well, if you are someone with sensitive skin, these words alone cannot do all the magic. If you are on the lookout for hypoallergenic shampoos, invest in products that are tested by the FDA and/or dermatologists. Those that do not contain parabens, phthalates, alcohol, and fragrance whatsoever. Particularly, ingredients like parabens and sulfates are a complete no-no for those who have eczema. Remembering all this information, driving up to the supermarket, and running around the shampoo aisle can be challenging. Hence, this article! Here’s a list of 10 best hypoallergenic shampoos. Take a look. 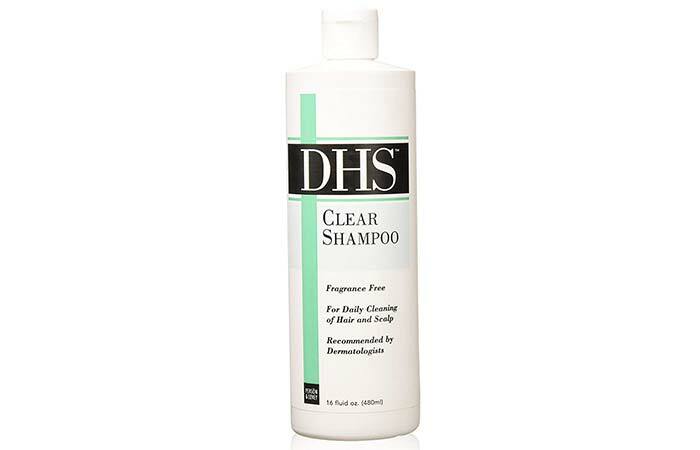 This non-medicated, gentle shampoo is ideal for sensitive scalp and skin. It cleanses your hair well and makes it more manageable. It prevents flaking and scaling. 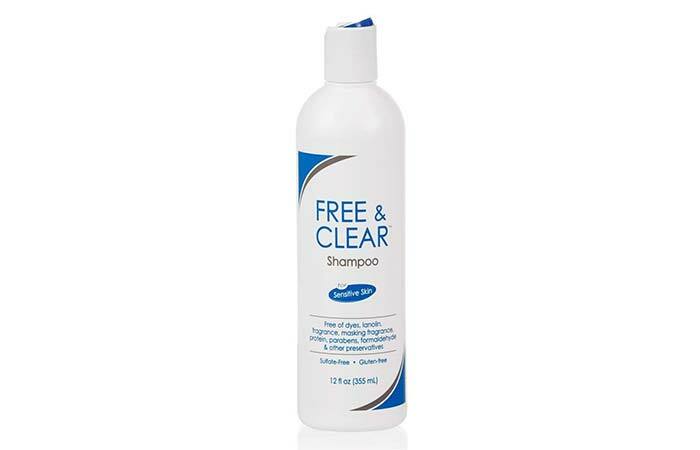 This gluten-free shampoo helps control excess sebum secretion and keeps build-up and residue at bay. For those with an infected scalp, this mild formula can help eliminate the irritants without drying it out. 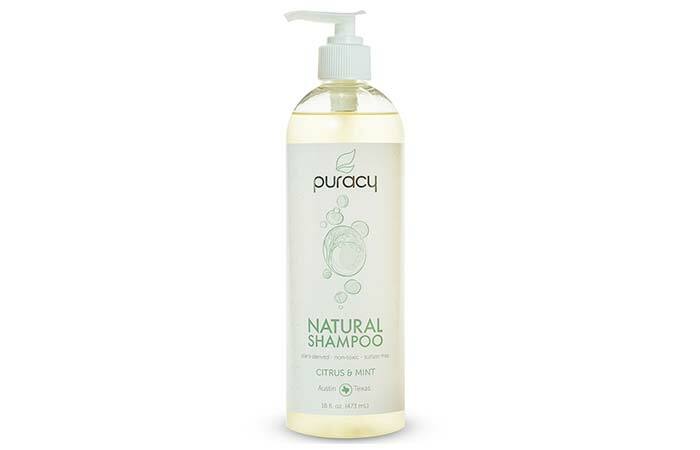 This shampoo contains a balanced blend of cleansers, essential oils, and other emollients that cleanse your hair and scalp without drying it out. It produces a soft lather that provides weightless moisture. The product claims to contain 99.95% natural ingredients. Peppermint and eucalyptus essence add a hint of freshness to your scalp. The blend of rich ingredients infused in this shampoo help strengthen weak roots. This daily cleansing shampoo can improve your scalp health in just a few weeks. The formula is prepared without any harsh detergents that may increase your scalp issues. This shampoo maintains your scalp’s pH levels and conditions the scalp and hair. The best part is that this hypoallergenic shampoo is ideal for people with issues like dandruff, psoriasis, eczema, and seborrheic dermatitis. Though it was created for babies, this gentle formula works well for adults too! 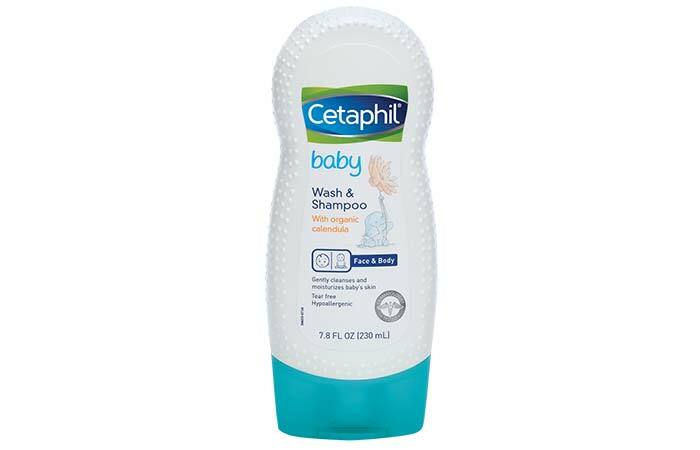 Cetaphil Baby Wash And Shampoo is infused with organic calendula extract, which is derived from the marigold flower. It lathers into a rich and gentle foam, hydrating your scalp and hair within a matter of few seconds. It leaves a fresh and calming feeling on your hair. 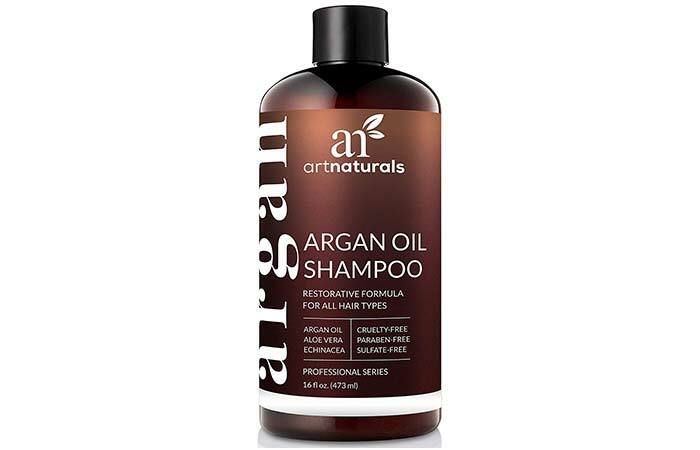 This argan oil-infused shampoo helps restore and enhance hair growth. It moisturizes dry and brittle hair by hydrating the damaged cuticles. The moisturizing minerals and oils in this shampoo help soothe the scalp. It also treats inflammation and soreness. This nutrient-rich shampoo contains ingredients like avocado, jojoba, and almond oils that help strengthen weak strands. 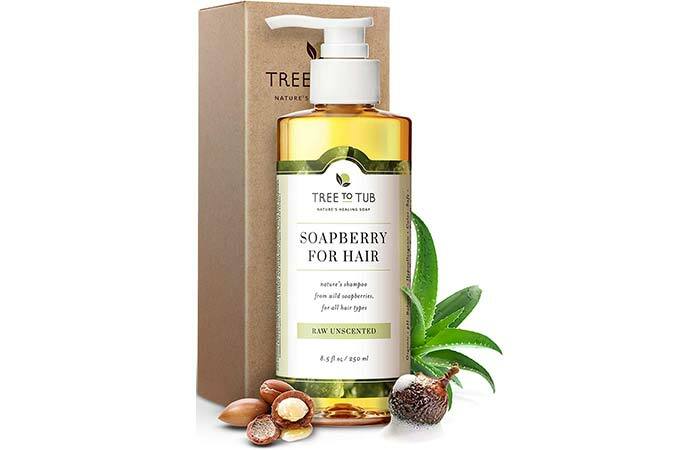 This organic shampoo is infused with saponin-rich soapberries that help balance scalp pH, clear dandruff, treat psoriasis, and condition your hair all at once. The formula is infused with organic argan oil, aloe vera, chamomile, and olive. These ingredients smoothen your hair while soothing a dry and sensitive scalp. The best part about this shampoo is that all the ingredients are organically harvested and handpicked. 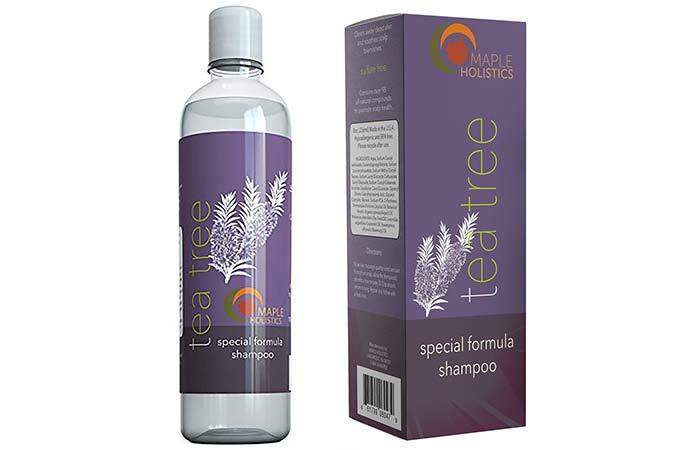 Put an end to scalp irritation with Maples Holistics Tea Tree Oil Shampoo. It relieves itching, flaking, and dandruff. The formula is packed with antibacterial and antifungal properties that help eliminate infections from your scalp. It boosts blood circulation and promotes healthy hair growth. This sulfate-free hydrating shampoo moisturizes the scalp, cleanses the follicles, and clears dirt in just one use. It strengthens roots and improves your hair’s elasticity. 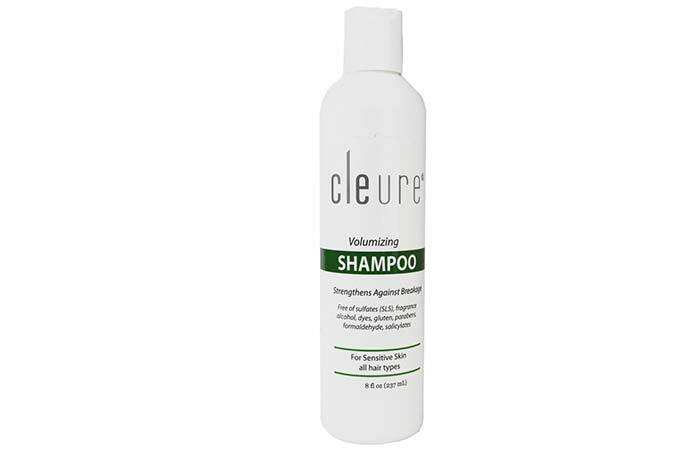 Cleure Volumizing Hypoallergenic Shampoo is free of parabens, sulfates, and other harmful chemicals. It cleanses your scalp thoroughly and gives you silky, shiny hair. It adds volume to limp hair, giving it a fuller look. 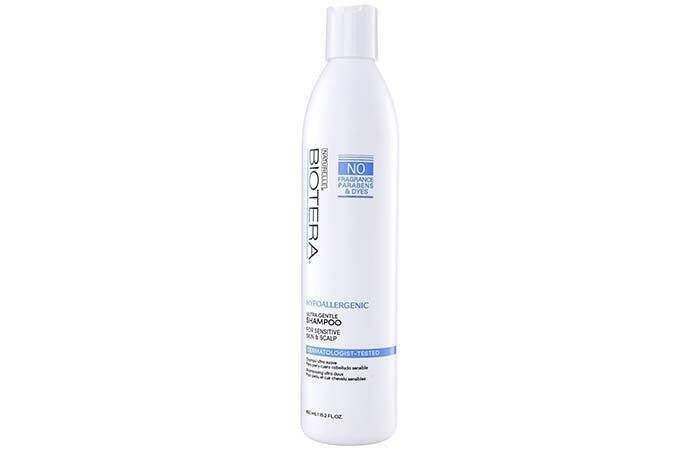 This gentle cleanser imparts lustrous shine to dull and lifeless hair, which lasts for days. This gentle and mild 2-in-1 formula is perfect for the entire family. It contains organic ingredients like coconut oil, jojoba protein, and quinoa that help moisturize your hair and skin. These ingredients soothe your scalp and nourish your hair. The formula cleanses your hair without overdrying it. It leaves your hair looking soft and fresh instantly. Naturelle’s Biotera Hypoallergenic Shampoo gently cleanses your scalp without drying it out. It contains chamomile and other soothing botanicals that nourish your hair and scalp. Within a couple of washes, this shampoo will improve your overall scalp health. It is a dermatologist-tested formula that works well for those with itchy and dry scalp. These are the best hypoallergenic shampoos for sensitive scalp. Have you tried any of these shampoos before? If not, quickly fill your cart with your favorite product, try it out and let us know how it worked for you in the comments section below. The fragrance of shampoos is quite invigorating. But, all good things come at a cost. The same goes for these shampoos that contain explosive fragrances. These hair cleansers can damage your scalp and hair. Do you wonder why all the beauty gurus are raving about micellar water and micellar shampoos? Gluten-free shampoo? Seriously? Does it exist? We have heard of gluten in drinks and foods, but the thought of gluten in hair products sounds crazy. If you come across ingredients like hydrolyzed wheat proteins or any other wheat-dependent ingredients in shampoos, it means they contain gluten.